With a registered population of just 30, the Isle of Muck, Scotland, is not exactly bursting with career opportunities. However, a new position has become available at Muck Primary School that is attracting applications from around the world. Given that it has just seven pupils – one of whom is in nursery, the teaching role is unlikely to be overly demanding. The job comes with several perks, including a three-bedroom flat located above the school, a “Remote School Allowance” of £2,475, and a “Distant Islands Allowance” of £1,941, on top of an annual salary between £22,416 and £35,763. But life at Muck Primary School has its own challenges: there is no supermarket, post office, or GP on the island, and it becomes completely cut off from the mainland in the winter. In fact, the island only got round-the-clock electricity three years ago. “The island is ideal for nature lovers with many species of birds, including corncrakes and puffins and other resident animals such as otters and seals,” according to the job advert posted online. The 2.5 mile-long island is only reachable by ferry. The job is open to any primary teacher who is registered with the General Teaching Council for Scotland. The successful applicant will replace Julie Baker, who has decided to leave the role to move to the mainland. “I have been very fortunate to be the teacher at Muck primary school for the last two and a half years but we are sadly leaving for family reasons. It is a wonderful place to teach and live,” Baker told The Times. “It is a very special teaching job. There is a three-bedroom flat for the teacher and their family above the school, which makes it the shortest commute ever! The flat has stunning views across the sea to Ardnamurchan Point,” she said. • Muck is the smallest of the four main islands in the Small Isles, part of the Inner Hebrides. It measures roughly 2.5 miles long, and covers about two square miles. • There is only one road, which connects Port Mòr with Gallanach. • It is believed to have been the last community in Scotland without 24-hour power. Before round-the-clock electricity came in 2013, residents were rationed to only ten hours of power a day. People had to read by candlelight, wash clothes by hand and often miss the endings of films. 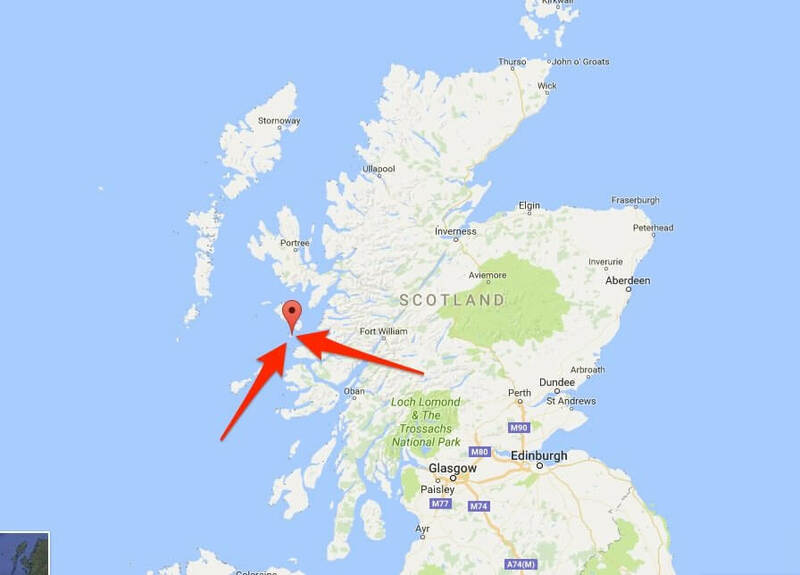 • There is no church, shop or post office — and, uniquely among Scottish islands with a similar size population, no post box.